This is the known fact that the future lies in the hybrid cars, such cars apart from saving the costly fuel will also reduce the harmful carbon emission. These benefits coupled with other incentives have helped hybrid vehicles to gain the attention of the car owners. Many people who own the conventional automobile are looking forward to replace their cars with the hybrid one. The reason is simple the rising fuel costs and the harmful emission. Hybrid vehicles are equipped with two engines; it has the standard gasoline engine and also electrical motor which runs on the batteries. The use of these two engines cuts the fuel consumption by half as compared to the conventional vehicles. It is quite possible to run the hybrid car for more than 60 miles per gallon of gasoline; with such an advantage these cars are quite suitable for long run. The owners of hybrid cars are really not worried about the rising costs of oil. In addition these cars have other strong points also. Recently the President of the United States signed an agreement that the hybrid car owners could be given some tax concessions. You are expected to save a lot of money which otherwise you were expected to pay as taxes. Some of the other incentives given by the federal governments are complimentary parking, free entry into car pool lanes and reduced fee at the toll gates. The hybrid vehicle have inbuilt capability of recharging the batteries, this means you do not have to charge the vehicle at the personal electric outlet nor are you required to go to the charging stations. With so many advantages there are some short comings also, the biggest one is the price of such vehicles which makes it quite non affordable to the people. On the long run such cars might prove quite economical but it only few who have ample money can buy these cars initially. The size and the weight of the hybrid vehicle is quite high, the reason is the installation of large batteries and the additional engine. The manufacturers are trying to reduce the weight by using lighter material but again it should be perfect in aerodynamics to maintain the running efficiency of the vehicle. 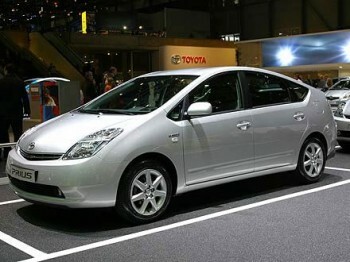 It has also been seen that hybrid vehicle have proved more risky in case of an accident. The car has both plus points as well as negative points, the hybrid automobiles have very high voltage in the batteries which poses a great danger by way of electrocuted in case of accidents. The rescue team will have to face great difficulties in rescuing the inmates in case of accidents in hybrid vehicles. These are some of the advantages and disadvantages of hybrid vehicles. Automobile manufacturers are working really hard to make these vehicles safer and remove all the disadvantages. Since the research is on, day is not far when you will get a safe, durable, lighter and trouble free vehicle to drive. Let us all wait for the day and drive the safe hybrid car.